The Apple Watch Series 4 is now up for grabs just 10 days after Tim Cook unveiled the next-generation smartwatch at the company's Gather Round event. Whether you're thinking it's time to invest in a Watch for the first time or you're planning on upgrading from a Series 3, Series 2, Series 1 or even the original Watch, you can now buy the new Series 4 from Apple's website. 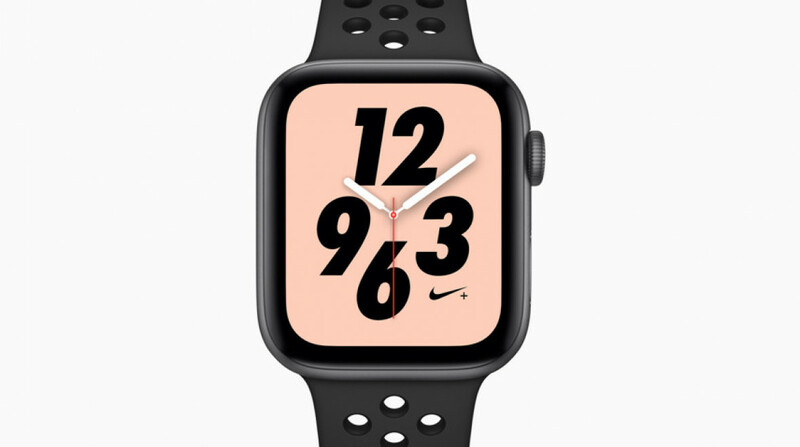 Unlike the Series 3 (which is still available to buy), there are now three editions of the Series 4: you've got your pick of the standard model along with the Nike+ and Hermès edition. That does mean that the pricey Ceramic model is no longer an option. In terms of pricing, the GPS Series 4 starts at £399 while cellular models will cost at least £499. If you need a reminder, the Series 4 now comes in larger model sizes moving from 38/42mm models to 40 and 44mm models. Yes, that means more screen to show off the best that watchOS has to offer. There's now a digital crown with haptic feedback, a loud speaker to improve call and Siri performance and you'll still have your pick of GPS or GPS/LTE options. Like the Series 3, there's still built-in GPS, a heart rate monitor, a swim-proof design, and all models should deliver up to 18 hours of battery life. The headline feature is the new ECG heart sensor that means the new Watch is able to detect abnormal rhythms, which is a possible sign of atrial fibrillation. Apple has clearance from the FDA for the feature, but that means it will only be available in the US. An ECG app will be launched for the Watch later this year. Fortunately, we've already had our hands on the Watch Series 4 and it's fair to say we were pretty impressed. We scored it 9 out of 10, which means it scored higher than the Series 3 and Samsung's new Galaxy Watch. We praised it for the improved design, lifesaving metrics and solid sports tracking features. What stopped it from scoring a full 10 out of 10? Well, we hoped Apple would've been able to ramp up the battery life performance for starters. Siri still doesn't feel great from the wrist either, and it is of course pricier than its predecessor. It does look like if you're planning to make orders for all of the new Watch Series 4 models there will be a couple of weeks to wait for it tor turn up. So you may have more luck heading into one the physical Apple Stores or trying a third-party retailer if you don't want to wait that long. Are you planning to buy the Watch Series 4? Happy with your current Watch? Let us know in the comments section below.